Mario F. Riquelme graduated from the University of Oregon School of Law in 2002. He received his Undergraduate degree from the University of Oregon in 1998 with a Major in Economics and a Minor in French. He was admitted to the Oregon State Bar in 2002 and is admitted to practice before all circuit and appellate courts in the state of Oregon. Mr. Riquelme's practice areas include all areas of Civil Litigation, with a focus on Personal Injury (motor vehicle accidents, premises liability, dog bite, etc. ), Business Formation (LLC and S-Corporation) and advice, and Criminal Litigation, with a focus on DUII. Mr. Riquelme is a proud member of the Oregon Trial Lawyer's Association, American Association for Justice, and the Deschutes County chapter of the J.R. Campbell American Inns of Court. 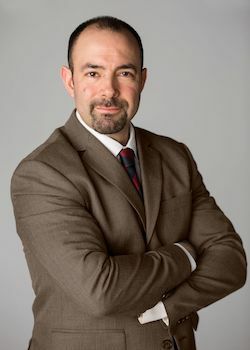 Mr. Riquelme has been selected as a Rising Star among Oregon attorneys by the Super Lawyers publication for the years 2009 and 2010.